September is that time of year when the days start to get noticeably shorter and the winds and rain will generally increase. With this in mind and with the soil still being warm from the summer its a great time to plant trees,perennials and bulbs. Trees will put down a better rooting system this time of year and a small amount of wind can actually make them stronger as it helps to get a better footing. 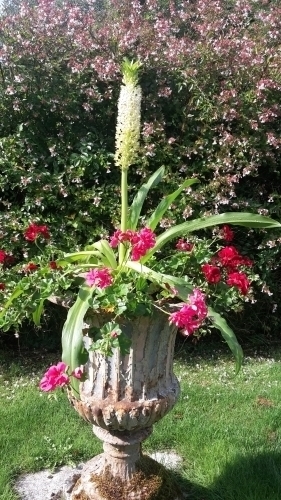 Keep up with the dead heading around the garden to prolong the flowering period. Don't forget hanging baskets and planters will carry on until the first frost if kept dead headed and well fed. 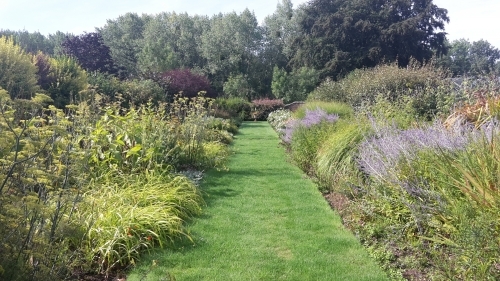 September to October is the best time I find to do lawn work such as scarifying, re-seeding, edge repairs or even laying a new lawn (more detail on this in last years blog post). 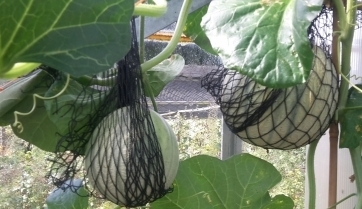 I have added some photo's from around the vegetable garden of things that are looking good or might be of interest. 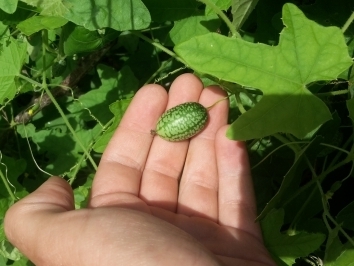 We have grown melons for the first time and cucamelons (like a small grape sized cucumber). 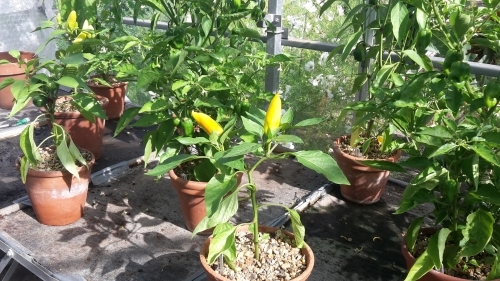 Also the chillies in the glass house are all doing pretty well. 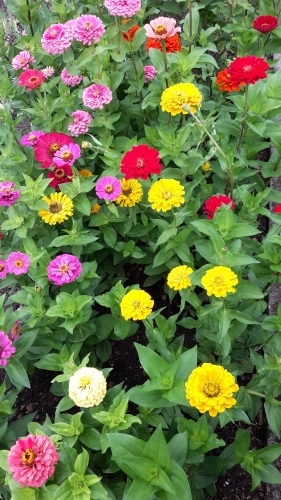 The zinnia from our picking garden are also looking great at the moment.